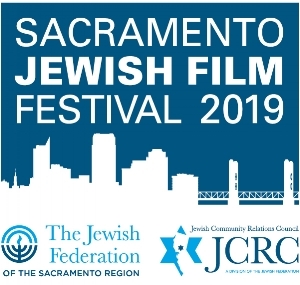 The Sacramento Jewish Film Festival returns to the Crest Theater for three days of international and American film screenings, along with music, food, and discussions. Nine feature films, in multiple genres, will be shown, including a number of award winners. Themes include the Strings of a People: Jewish Violin, Love is Love, Welcome Aboard - Becoming Jewish, The Perils of Identity and Asylum, Israeli-Palestinian Dynamics and Family and Faith in Conflict. Click here for a complete list of films and trailers. From the Bolshoi Ballet in Moscow comes classic ballet in cinemas nationwide. On her sixteenth birthday, Princess Aurora falls under the curse of the Evil Fairy Carabosse and into a deep slumber lasting one hundred years. Only the kiss of a prince can break the spell. A resplendent fairytale ballet, “The Sleeping Beauty” features scores of magical characters including fairies, the Little Red Riding Hood, Puss in Boots. Princess Aurora is performed by Olga Smirnova, a “truly extraordinary talent” (The Telegraph). This is classical ballet at its finest. William Finn and James Lapine’s groundbreaking, Tony Award-winning musical returned to Broadway in an all new production from Lincoln Center Theater, and was nominated for five 2017 Tony Awards, including Best Revival of a Musical. 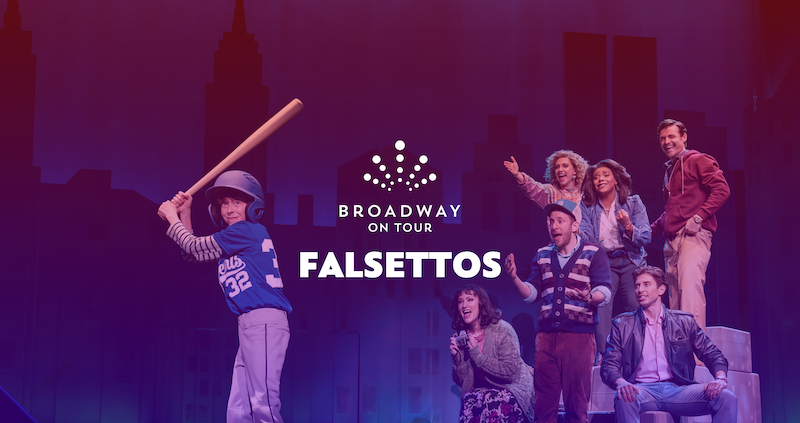 Falsettos is a hilarious and achingly poignant look at the infinite possibilities that make up a modern family…and a beautiful reminder that love can tell a million stories. Kurt Rohde’s Farewell Tour—Parts 1, 2, 3, 4, 5, and 6—commissions new works by the most gifted composers who Rohde feels are underrepresented and deserve a wider audience. The tour also serves to broaden the repertoire for viola. This multiyear commissioning project is modeled after Cher’s decades-long farewell tours. Rohde plans to complete the project in 2028, at which time he will retire from playing in performance and donate his instrument to some talented whippersnapper who wants to play viola. Free (a Shinkoskey Noon Concert). Described as an alternative rock, space rock and progressive rock band, Muse mixes sounds from genres such as electronic music, progressive metal and art rock and forms such as classical music and rock opera. Their latest album, “Simulation Theory,” was released on November 9th. Widely recognized as one of the best live bands in the world, Muse has won numerous music awards including two Grammys, an American Music Award, five MTV Europe Music Awards and 10 NME Awards. Jean-Paul Bourelly is an innovative and experimental guitarist/composer who excels at blending and bending various musical styles into cohesive expression. His music is informed by the migrant community of Haiti and the southern culture of Chicago’s south side that he grew up in. His musical output spawns a diverse array of variations of funky otherness. Often fiery solo exchanges, harmonic textures, and sound constellations, characterized by a spontaneous flow of rhythmic energy. Guests David Boyce and Kevin Carnes frequently perform with the Broun Fellinis in the Bay Area. Celebrating its 60th anniversary, the world’s best-known chamber orchestra returns with pianist Jeremy Denk to perform notable firsts from its acclaimed repertoire — including the Albinoni Concerto Op. 5, No. 5 (the first piece the orchestra played at St Martin in the Fields Church in 1959) and Piano Concerto No. 12, the first Mozart piano concerto recorded by the Academy. Cellist Matt Haimovitz, an artist whose barrier-breaking performances have taken him around the world, collaborates with renowned pianist and composer Vijay Iyer in a program that truly defies definition. Repertoire from Iyer’s catalogue, plus the music of Zakir Hussain, John McLaughlin, J. S. Bach, Ravi Shankar, Billy Strayhorn and others, flow seamlessly, creating a night of unprecedented virtuosity and depth. Duets are the centerpiece but expect solo performances by each of these mesmerizing players. Works by Snarky Puppy, Ray Charles, Quincy Jones, Jacám Manricks and the American Songbook. The devastation from the Camp Fire will be felt throughout the communities affected for a very long time. Music Heals at Harris Center in Folsom is one of the many benefit concerts organized for the sole purpose of providing funds directly to the families that have endured the most destructive fire in California State history. The proceeds from this concert will be sent directly to the North Valley Community Foundation, a 501(c)(3) nonprofit in Chico for the benefit of those directly impacted by the Camp Fire. Music Heals welcomes the Laurie Morvan Band, Tom Rigney & Flambeau, Daniel Castro, Mighty‑Mike Schermer, and special guest Roy Rogers, all of whom are donating their time and talents for this show! Please join in for this fantastic night of music featuring some of the best Blues and Americana musicians from California. When the doors open for this event, beer and wine will be available for purchase prior to the show and during intermission. This beverage service will also be donating these proceeds to the North Valley Community Foundation. Many of her abstract two-dimensional works focus on creating patterns with geometric and organic shapes. These repeated shapes often include rust stains, left by found metal bits of hardware. Newer work delves into the balance between change and control, by encouraging random color mixing of ink drops in bright hues.